When it comes to ensuring the healthcare of an individual, leveraging data is helpful. But when we it comes to addressing the healthcare of whole communities that can range from a hundred to several billion people, harnessing every ounce of data is down-right essential. Still, the integration of data in population health still faces a number of hurdles. A recent article from Health Data Management touches upon some of the challenges. In this post, I extract and further explain this challenges and illustrate how they might be overcome. Not all of the data needed for clients can be gathered from a quick office visit or simply by perusing a database. There are a lot of gaps in current databases and so the challenge there is in 1) determining what those gaps are and 2) addressing them. For instance, determinants like access to clean water, access to good food, access to a gym, reliable climate control, and even whether or not someone has the right clothing to keep them warm enough when walking about town during winter are all factors that need to be considered. If a client doesn’t have access to any of the above, that will have an effect on the likelihood of them being admitted and/or readmitted to a hospital. Getting data in these fields will help providers increase the overall well-being of their patients by looking at care as something that transcends the hospital/clinic/office. One example of a company that is looking to overcome this gap is Exlplorys. Working with 23 health systems that represent about 360 hospitals, Explorys’ database contains claims and clinical data on 55 million patients, which can in turn be utilized by clients to organize patient populations by risk. Another company that is doing great work is Evolvent. 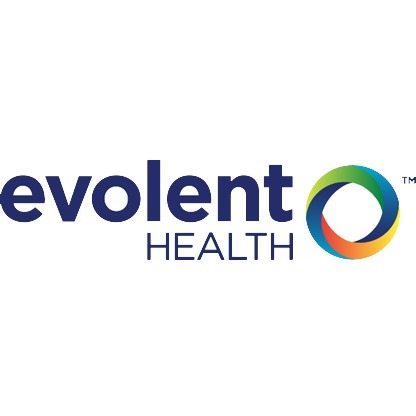 Starting with work at the University of Pittsburgh Medical Center, Evolvent now helps organize analytics for almost a million patients in 25 markets. Companies like Explorys and Evolvent incorporate data from a variety of sources, including air quality data, census data, and real estate information, drivers’ license data, and credit scores. Indeed, the sky is (almost) the limit when it comes to where data is pulled from. Population healthcare is about leveraging data to provide the best healthcare possible. To ensure that providers are providing the best healthcare possible, it would seem that no rock of data should be left unturned. Yet, as mentioned in a previous post, it’s not just a matter of gathering data–it’s about gathering relevant data. I’ve already managed the Health Management News article above. But for more great information on this topic, check out Forbes.com. As hospitals adapt to value-based payments and delivery models, they are figuring ways to evolve their business models and extend services beyond their four walls. With the shift from volume- to value-based payment and care delivery models, hospitals and care systems are exploring different paths for organizational transformation to achieve Triple Aim outcomes — better care, better health and lower costs. This involves going beyond the hospital’s traditional role — efforts that are focused on caring and personalizing services for individuals admitted to the hospital — and providing services outside the facility’s four walls to more proactively engage patients and communities. Population health management is one upstream intervention that can achieve Triple Aim outcomes in a value-based environment. It involves integrating preventive principles into care delivery to improve the health of a defined population. Key elements of population health management include identifying health determinants and addressing modifiable factors, promoting health and wellness, and implementing disease prevention and management programs. In a volume-based environment, hospitals and care systems implement small-scale, disease-specific programs. As the health care field moves toward more value-based payment approaches, organizations will need to create major systemic and cultural shifts to implement population health management. Successful population health management programs align mission with services that support a defined population and leverage internal and external resources to address community needs. Hospitals and care systems that successfully developed a sustainable population health management program have fee-for-value contracts that incentivize programs to achieve population health goals. Many health care organizations already are going beyond traditional partnerships and collaborating with community organizations, payers and other clinical care sites to address health care issues. The guide provides metrics for evaluating population health initiatives and includes several hospital case studies. Rhoby Tio, M.P.P.A., is a former program manager for the Health Research & Educational Trust. To access “The Second Curve of Population Health” and other resources on population health management, go to www.hpoe.org. The health industry has yet to define the true meaning of population health. According to improvingpopulationhealth.org, population health is defined as the health outcomes of a group of individuals, including the distribution of such outcomes within the group. Before population health becomes common practice, there will be some hurdles that need to be addressed. Let’s take a look at some of these hurdles according to healthcareitnews.com. Many health networks have applied evidence based pathways, protocols and decision trees outlining how they want patients treated by doctors and nurses. However, getting clinicians to comply as well is another hurdle in itself. Poor adherence continues and it leads to massive over-utilization of the system due in part to a number of different technologies coming to market. Patients and health insurance companies are changing the way they pay for health insurance. The practice of population health involves providers taking a look at data analytics to find patient populations that consume large portions of cost care and identity the ways to bring and impact and change to those population subsets. However, because it’s still an emerging practice, the data is not quite there yet to be scrubbed. Sometimes when you’re trying to solve or find a problem, data can help. Problem is when you have too much data to analyze, it could make it overwhelming and hard to find a place to start. Everyday, patients are constantly generating new data and it’s hard to account for every piece of data. Providers need to better figure out how to incorporate their patients, whether that’s as simple as taking medications regularly or actually changing long-standing lifestyle habits, to drive adherence because it’s the key to better outcomes, reducing overutilization and ultimately slashing costs. For more on this article, check it out at healthcareitnews.com.